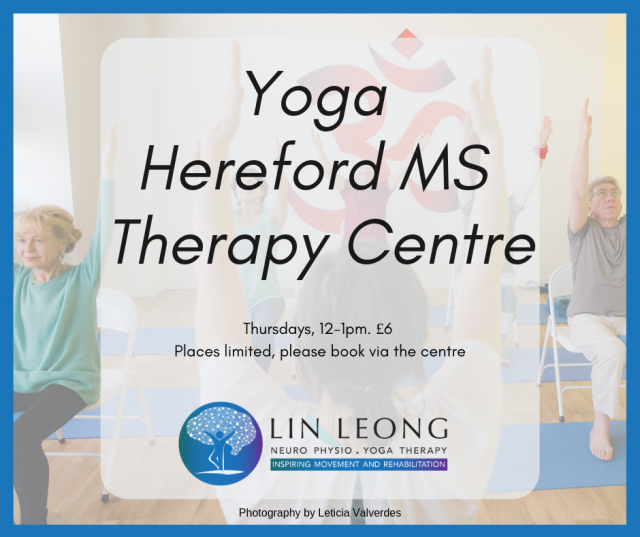 This class is open to people living with Multiple Sclerosis and to other members of the Hereford MS Therapy Centre. The class will include asana (postures) which can be adapted to suit each individual. It will also include breath work and relaxation. The class can help with pain, fatigue and stress management. Some people will also gain strength, flexibility and balance. You will learn practices which will empower you to manage your own health and wellbeing.